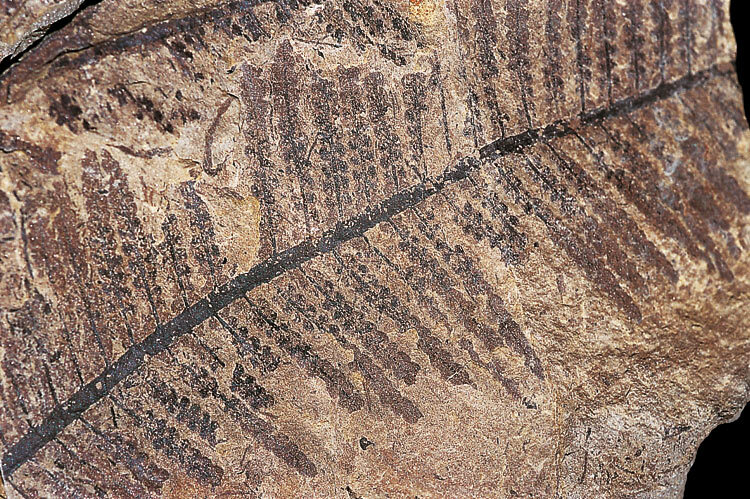 Fossil plants from the Wengen Formation (Ladinian, Upper Triassic) in the Dolomites (Italy) have been known for over 100 years. The best remains originate from the Zoldo Valley, from Corvo Alto near Cortina, Prags, Ritberg near Wengen, Col Alto near Corvara and the Gröden Valley. The floral composition is remarkably different from that of other European contemporaneous floras such as in Austria, Germany and France. The main floral components in the Wengen Formation are several Voltzia species, including the new species Voltzia ladinica n. sp., Voltzia pragsensis n. sp. and especially Voltzia dolomitica n. sp., followed by the conifer Yuccites vogesiacus and the seedfern Ptilozamites heeri. Equisetites arenaceus, the most common plant in the German Keuper flora, is very rare in the Dolomites just as Pterophyllum jaegeri (a Cycadophyte abundant in the Lunz flora in Austria and common in Germany). Several fern species occur e.g. Anomopteris mougeotii (also known from the Buntsandstein of France), Cladophlebis leuthardtii and Neuropteridium grandifolium. Cycadophytes are further represented by Bjuvia dolomitica n. sp., Taeniopteris sp. and Sphenozamites wengensis n. sp. A single specimen of the conifer genus Elatocladus has been recorded as well. Marco AVANZINI, Michael WACHTLER, Elio Dell’Antonio, Rossana TODESCO. In the Southern Italian Alps, Lower and Middle Triassic tetrapod footprints are known since the first decade of 1900 but extensive research was lead only in the last 30 years with the discovery of vertebrate tracks in many sites of the Dolomite region and surrounding areas (Avanzini et al., 2001). The main ichnoassociations are preserved in terrigenous and carbonate sediments Anisian in age, deposited in continental, lagoonal and peritidal environments. The new here reported ichnosite is located in the central Dolomites (Val Duron, Val di Fassa) and occurs in the Morbiac dark Limestones Fm. (Illyrian). It prevalently consists of silty, decimetre-thick grey or light brown lime wackestones and packstones with foraminifers and ostracods. Stromatolite bindstones and thin grey or green siltstones layers are interbedded. Plant debris is common. The depositional environment is referable to a marine marginal setting with lagoons and swamps contamined by terrigenous imputs. In the lower portion of the unit, two main layers are interested by vertebrate trampling. In the lowermost layers Rhyncosauroides isp. is largely represented, along with Rhynchosauroides tirolicus Abel 1926 footprints. The uppermost layer yields some archosaurs footprints with different degree of preservation. The best preserved are Chirotherium barthii Kaup 1835 and Brachychirotherium aff. parvum Hitchcock 1859 (sensu Brandner,1973). This association seems coherent with the Rhynchosauroides tirolicus - Rotodactylus lucasi Faunal Unit proposed by Avanzini and Mietto (2005) for the Early Illyrian. This paper deals with the description of the ferns found in the recently discovered Anisian locality of Kühwiesenkopf (Monte Pra` della Vacca). A revision of the genera and species involved has been undertaken where necessary. Because of transitional material found at Kühwiesenkopf, the number of Neuropteridium species found in the European Middle Triassic floras is reduced from five to three: N. voltzii (Brongniart) Schimper, N. elegans (Brongniart) Schimper and N. grandifolium (Schimper et Mougeot) Compter. The fertile material attributed to this genus is transferred from the illegitimately published genus Crematopteris Schimper and Mougeot to the genus Scolopendrites Goeppert, in two species: S. scolopendrioides (Brongniart) comb. nov. and S. grauvogelii sp. nov. Anomopteris mougeotii Brongniart is unequivocally recorded for the first time from Italy. Gordonopteris lorigae gen. et sp. nov. is described for tripinnate fern fronds without the aphlebiae typical for the bipinnate genus Anomopteris but in which both sterile and fertile pinnule resemble closely those from that genus. Two probable marattialean ferns are described and recorded for the first time from the Middle Triassic of Italy: Marattiopsis sp. and Marantoidea sp. The nomenclature of the latter genus is discussed. Some ferns attributed to morphogenera are also described, namely: Sphenopteris schoenleiniana (Brongniart) Presl, Cladophlebis remota (Presl) comb. nov. and Cladophlebis sp. Moreover, two specimens from Kühwiesenkopf are described under gen. et sp. indet. as we are unsure if they are ferns or seed ferns. Similar material has been described from the Scythian of China as Neuropteridium curvinerve Wang and Wang.